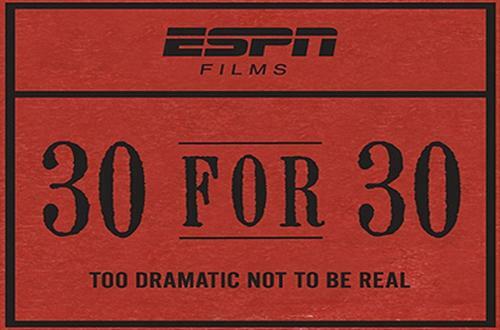 Having been highly critically-acclaimed since launching in 2009 to a level that it has enabled it to carry on beyond the anniversary year in the same branding, the ESPN Film series 30 for 30 have announced 7 more sports documentaries to arrive by the end of the year. For fans of the series, in which professional film-makers create full-length documentaries on a sports topic close to them, there will be a chance to enjoy no less than 6 on consecutive Tuesday nights starting in October. Beginning on 7 October (but led in a week beforehand on 30 September with It’s Time, of ESPN Films’ spin-off series SEC Storied), the batch will begin with Playing for the Mob (focusing on a game fixing scandal involving the 1970’s Boston college basketball team, followed by a new 30 for 30 short The Great Trade Robbery on american football player Herschel Walker and the Dallas Cowboys). This will be followed in successive weeks by The Day The Series Stopped (where an earthquake delayed the 1989 World Series in San Francisco), When the Garden was Eden (the 1970’s New York Knicks), Brian and the Boz (the story of american football player Brian Bosworth), Brothers in Exile (Cuban baseball players Livan and Orlando Hernandez moving to the major league in the 1990’s), and Rand University (former NFL star Randy Moss retracing his roots). Finally, there will be a month delay before the 7th and final part of the batch, (and 26th of the 30-part second season) with the series’ first-ever sequel episode, The U Part 2, focusing on the Miami Hurricanes college american football team rebuilding after 1990s sanctions, only to face fresh controversies amongst their success, set to air just over 5 years after the original, on 13 December following coverage of the Heisman Trophy presentation. Airtimes for all upcoming documentaries will vary from 8-10pm ET across the run. The full descriptions of the films being made can be seen here. In search of publicity for the home franchise and for their show’s ratings, one of ESPN‘s baseball broadcasting series, Baseball Tonight, decided to take a temporary injection of tiger blood into their presentation team for a Cincinnati Reds home game… and not from the other ‘big 4′ professional sports franchise occupying the city. Instead, it is Anger Management actor Charlie Sheen, a lifelong fan of one of the oldest Major League Baseball franchises (having been officially founded 125 years ago), who was invited to come on and offer his insight during proceedings for the Reds’ home game against the St. Louis Cardinals (who themselves are currently not their city’s #1 professional sports story), their 48th fixture of the regular season, but one that was lost 4-0 to see them move to a 22-26 overall record. Which meant that the day that introduced Sheen to the world of baseball punditry (an area he suggested moving into in 2011 before taking the lead role of FX sitcom Anger Management) did not go as well as he would have liked due to what he saw on-field, though his appearance was focused on the pre-game show at the Great American Ballpark yesterday (25 May). In spite of being born and raised in California, Sheen’s father Martin’s ties to the state of Ohio have seen him hold a support for the 5-time champion Reds, including donation to the franchise’s community fund. 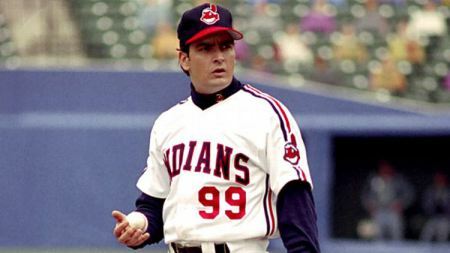 However, his most notable contribution to the sport comes from the big screen, with his roles in Eight Men Out and Major League, the latter of which can be seen below in trailer form. Dish and Disney have struck a deal that will enable the satellite company stream live and on-demand ABC content to viewers, including local broadcasting and content from channels including ABC, Disney Channel, and ESPN to connected devices. 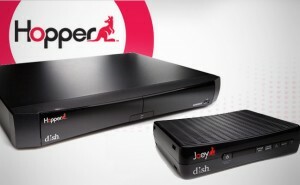 The multi-year deal comes with the proviso that Dish Network commits to disable the controversial ad-skipping feature on it’s Hopper DVR’s for three days after broadcasting. 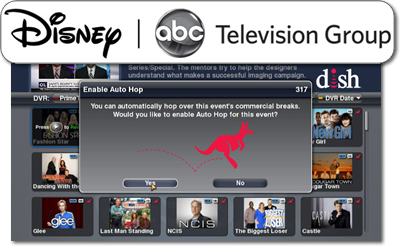 The ad-skipping feature called Autohop that let viewers avoid watching any advertising, but resulted in a lawsuit between the two companies. As part of the deal, all legal matters have been dropped. The existing content arrangement between Disney and Dish had also expired and this deal prevents any blackout of programming for Dish’s 14 million subscribers. Dish is planning to offer the service sometime this year. For most successful athletes, an accepted career move post-retirement is (if not working in a field such as coaching or management) to operate in the media, most stereotypically as a studio pundit, although such a treatment is usually only reserved for players who have hung up their equipment, or at least those not playing for the foreseeable future (due to a temporary injury, etc.). 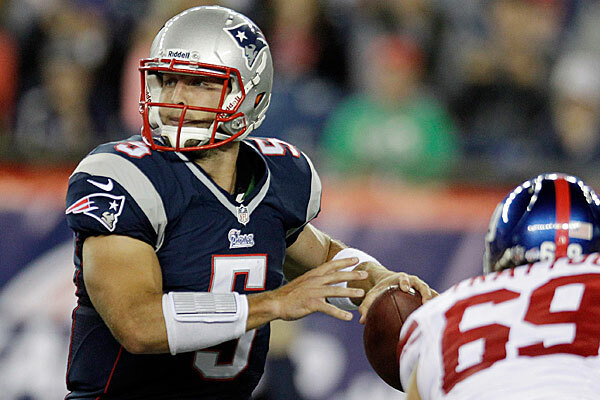 If you are under the age of 30 and still ‘game-ready’ at the elite level of your chosen sport, it will seem a much more unusual move to appear on TV screens, much more so when agreeing a multi-year contract, as has occurred with currently-former american football phenomenon Tim Tebow, who with no contract offers on the table for the current season in the NFL has signed for sports broadcasting giants ESPN. The 26-year-old will be operating primarily in the network’s coverage of the college league SEC (Southeastern Conference – a Division I league of the NCAA), an area he is well acquainted with having represented the Florida Gators team during his college years. From there, he moved on to the NFL and was drafted into the Denver Broncos franchise, where he spent the 2010 season as a reserve before hitting the limelight in 2011 as the new starting quarterback, leading his team to the playoffs with strong performances and becoming an internet sensation thanks to his pre-play prayer that morphed into the memetic pose of ‘Tebowing’. However, following an unsuccessful 2012 season after being traded to the New York Jets (where many fans feel he didn’t get given a fair chance to break into the team), and a 2013 preseason trial with the New England Patriots that ended with being cut from the team, Tebow has been left without options for playing in the NFL until the 2014 season. His old team-mates at the Broncos, meanwhile, are currently finding success with veteran Peyton Manning at quarterback, making the current play-offs with the best record in the NFL.